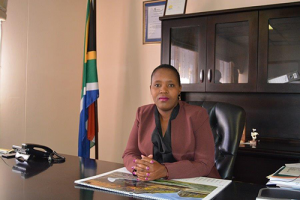 The Executive Mayor has extensive statutory powers and duties that are derived from the Local Government: Municipal Structures Act, No 117 of 1998, Local Government: Municipal Systems Act, No 32 of 2000 and the Local Government: Municipal Finance Management Act, No 56 of 2003. Evaluates progress against the key performance indicators. Identifies and develops criteria in terms of which progress in the implementation of the strategies, programmes and services referred to in subsection (2)(c) can be evaluated, including key performance indicators which are specific to the municipality and common to local government in general. Recommends or determines the best way, including partnership and other approaches, to deliver those strategies, programmes and services to the maximum benefit of the community. Recommends to the municipal council strategies, programmes and services to address priority needs through the IDP, and the estimates of revenue and expenditure, taking into account any applicable national and provincial development plans. Identifies the needs of the municipality. Receives reports from committees and forward these reports together with a recommendation to the council when the matter cannot be disposed of by the executive mayor in terms of the executive mayor’s delegated powers. the implementation of the municipality’s by-laws. Monitors the management of the municipality of the municipality’s administration in accordance with the directions of the council. Oversees the provision of services to communities in the municipality in a sustainable manner. Performs such duties and exercise such powers as the council may delegate to the executive mayor. Annually reports on the involvement of communities and community organizations in the affairs of the municipality. Reports to the municipal council on all decisions taken by the Executive Mayor.